This weekend Bricktastic made its brick-filled return to Manchester Central for another two days of LEGO® fun. With plenty of great LEGO creations on show, many builders have taken the opportunity to showcase brand new MOCs. One of which we shared early thanks to LEGObookworm, who attended Bricktastic today. It’s proven quite popular, so definitely worth of a spot in our Amazing MOCs feature. At the event, a number of builders reimagined the LEGO Creator Expert London Bus, including Brickish Association member Gary Davis. Who decided to theme his version around the awesome LEGO-based charity, who host the Bricktastic event, Fairy Brick. Which has resulted in The Fairy Bricks Bus. 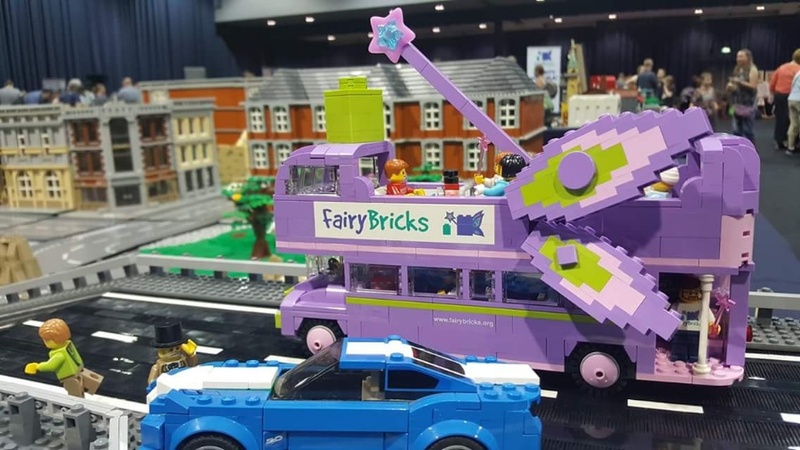 Kitted out in Fairy Bricks trademark colours of medium lavender, bright yellowish green and pink, the Fairy Bricks Bus also sports a pair of fairy wings and a magical wand. 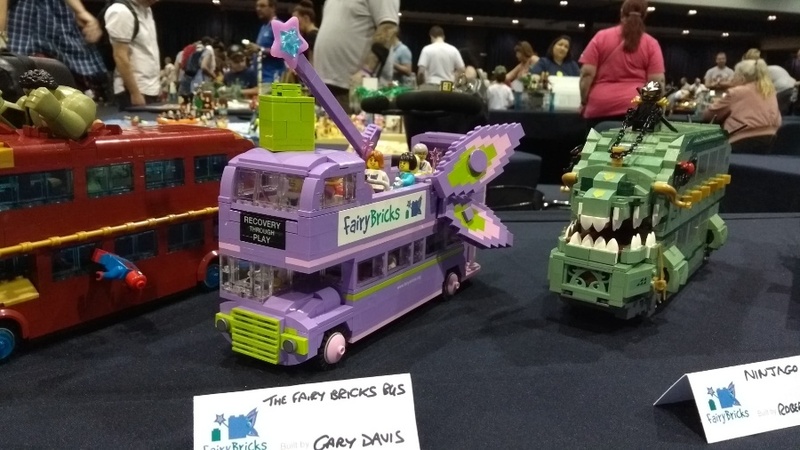 I also love it when sets are ‘rebricked’ to create something new and Gary’s bus MOC is an amazing example of that, as are the other buses you can just see in the photos below. 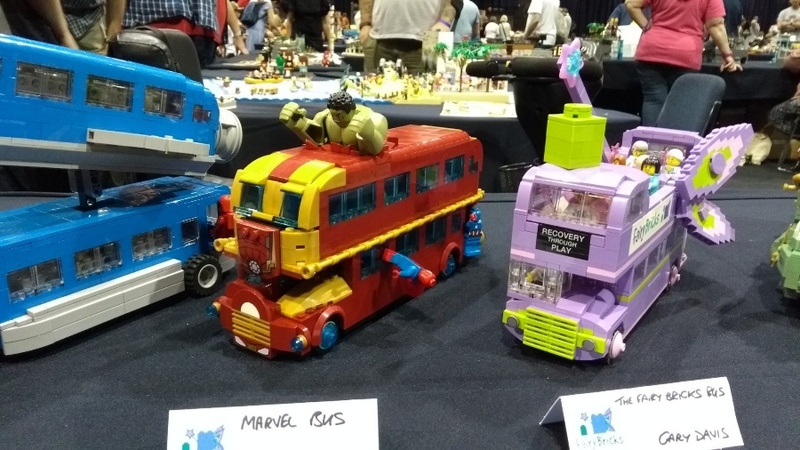 You can see The Fairy Bricks Bus up close along with many other amazing MOCs at Bricktastic again tomorrow.